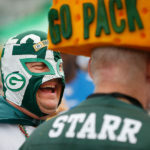 The Packers didn’t play well on Sunday and they lost to the Dallas Cowboys 30-16 at Lambeau Field in Green bay, Wisconsin. 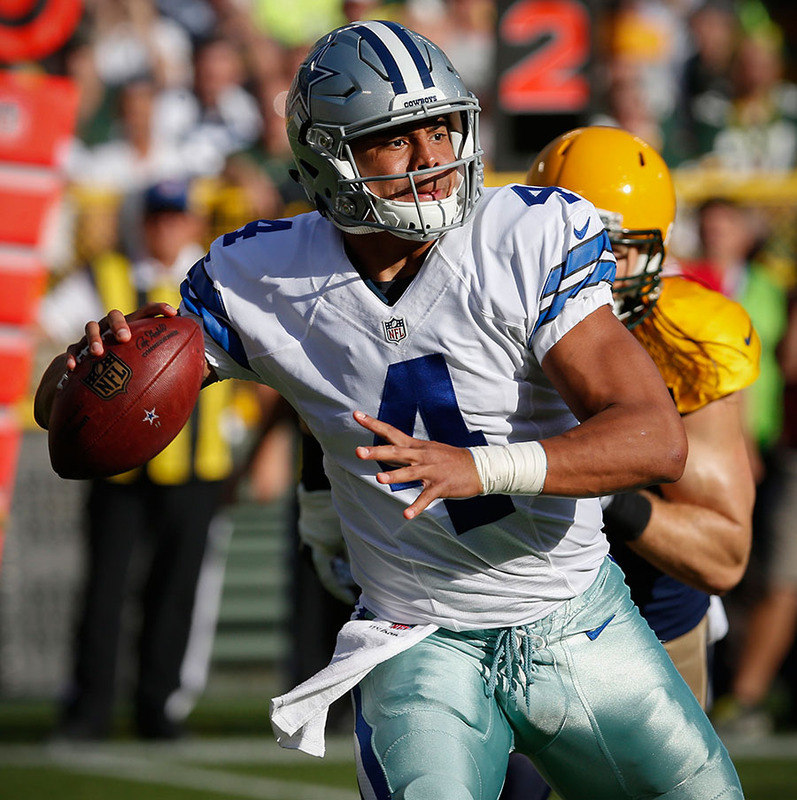 The Cowboys led by rookie quarterback Dak Prescott made less mistakes and had fewer turnovers then the Packers and came out on top. I felt like I had an okay game and got a few of the key moments, mostly being the turnovers. The afternoon was topped off by Hall Of Fame quarterback back Brett Favre spending a few minutes on the field at half time after being inducted in to the hall this past summer. Here are some of my favorite shots form the day! 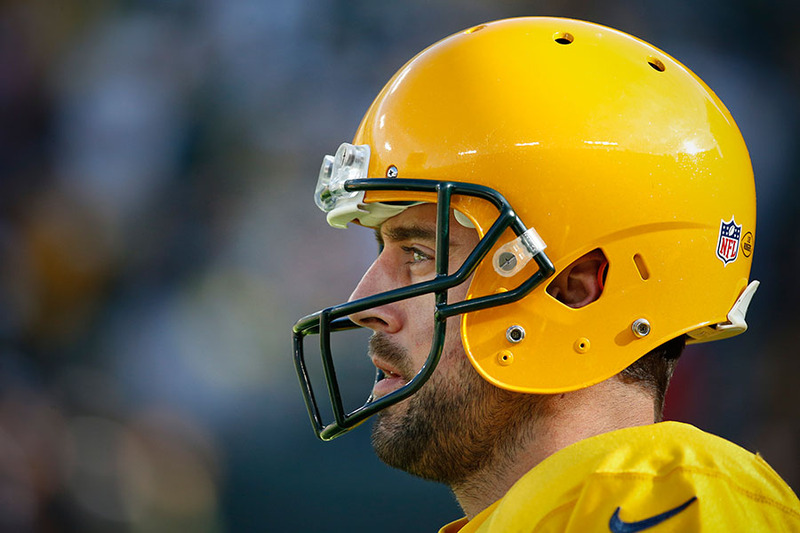 Green Bay Packers quarterback Aaron Rodgers before the game. 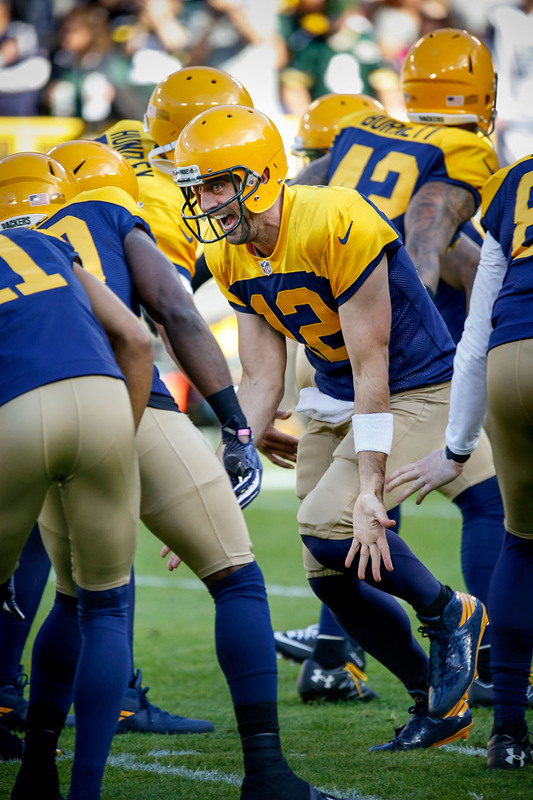 An excited Packers quarterback Aaron Rodgers during play introductions. 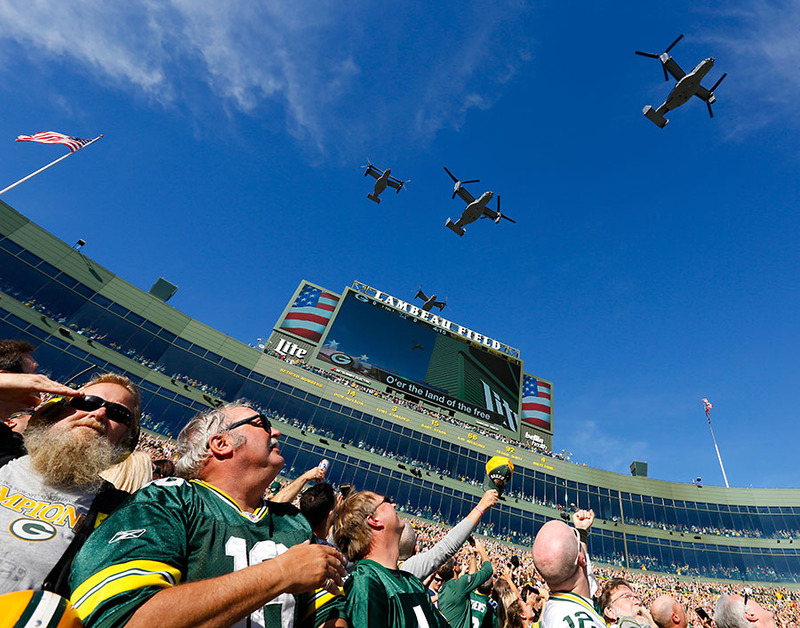 V22 Osprey fly over Lamvbeau Field after the national anthem. Dallas Cowboys quarterback Dak Prescott looks for a receiver. Green Bay Packers running back Eddie Lacy leaps over a Cowboys defender. Green Bay Packers wide receiver Jordy Nelson fumbles the ball. Dallas Cowboys outside linebacker Sean Lee and cornerback Morris Claiborne chase after a fumble. Green Bay Packers linebacker Joe Thomas celebrates an interception. Dallas Cowboys strong safety Barry Church and outside linebacker Sean Lee break up a pass intended for Green Bay Packers wide receiver Jared Abbrederis. Dallas Cowboys linebacker Justin Durant takes Green Bay Packers quarterback Aaron Rodgers down by the facemask. Green Bay Packers quarterback Aaron Rodgers does a little cleaning up and adjusting after getting taken down by the facemask. Green Bay Packers defensive back Kentrell Brice tries to stop Dallas Cowboys wide receiver Cole Beasley. Green Bay Packers nose tackle Kenny Clark chases after a Dallas Cowboys quarterback Dak Prescott fumble. Packer Mike McCarthy argues a call. Dallas Cowboys defensive tackle Terrell McClain takes down Green Bay Packers running back Eddie Lacy. 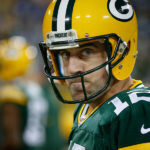 Green Bay Packers quarterback Aaron Rodgers tries to keep his balances as he escapes the Cowboys defense. Dallas Cowboys wide receiver Lucky Whitehead looses the ball as he goes out of bounds. Cowboys Brice Butler tires to hide behind a ball boy after scoring a touchdown. Former Packers quarterback Brett Favre shows off his HOF ring. 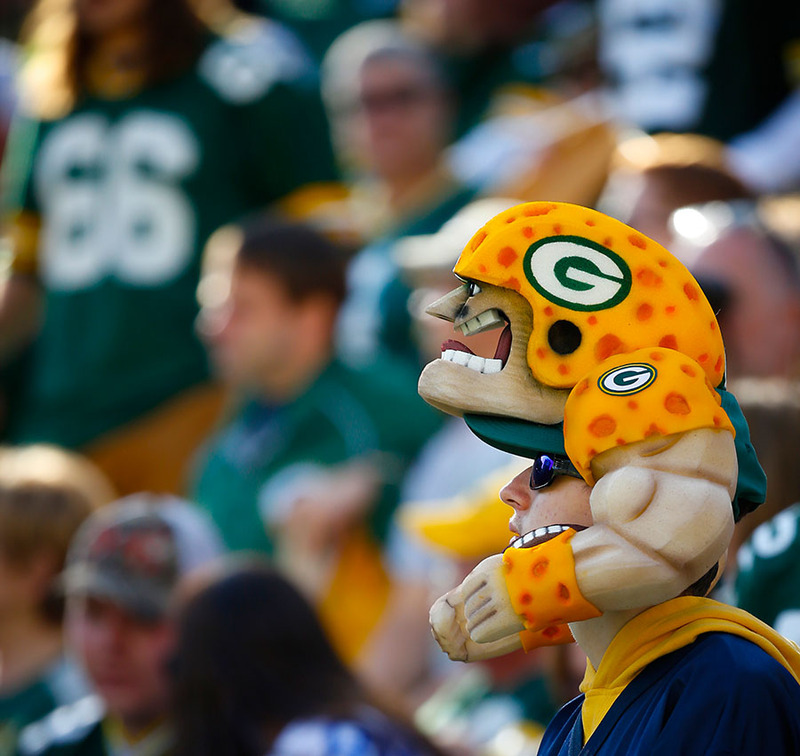 Former Packers quarterback Brett Favre pats himself on the head. 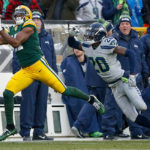 Green Bay Packers wide receiver Ty Montgomery fumbles out of bounds. Green Bay Packers running back Eddie Lacy leaps over Dallas Cowboys cornerback Brandon Carr. Dallas Cowboys running back Ezekiel Elliott runs for a first down. Dallas Cowboys wide receiver Cole Beasley celebrates a touchdown. Dallas Cowboys head coach Jason Garrett celebrates a touchdown with quarterback Dak Prescott and wide receiver Cole Beasley. 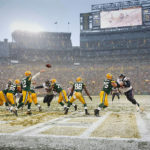 Green Bay Packers wide receiver Jordy Nelson pulls in a long pass. Dallas Cowboys linebacker Ryan Davis celebrates a fumble recovery. 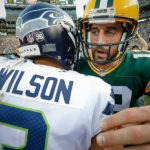 Dallas Cowboys quarterback Dak Prescott and Green Bay Packers quarterback Aaron Rodgers shake hands after the game. Dallas Cowboys quarterback Dak Prescott walks off the field in victory.